When you view http://www.fetlar.org/ your visit and any dispute over privacy is subject to this Privacy Statement, Disclaimer and the Terms and Conditions of Use. Fetlar.org recognises the importance of protecting the privacy of anyone who visits the Website. 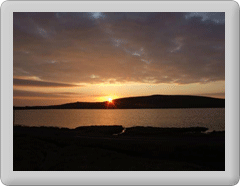 This Privacy Statement sets out the policy adopted by Fetlar.org towards the collection and use of information obtained from those visiting and using this site. By visiting or using the Website you consent to the collection and use by Fetlar.org of information about you in accordance with the Data Protection Act 1998 and this Privacy Statement. This Website contains hypertext links. Fetlar.org are not responsible for the privacy policies operated by the owners of those sites and does not accept responsibility for any information obtained by third parties as a result of use by you of such hypertext links. Fetlar.org reserves the right periodically to update or modify this Privacy Statement. Any changes to this Privacy Statement will be posted on this site so users are always aware of the information collected, the reasons for such collection and the purposes, if any, to which Fetlar.org may put such information. Fetlar.org encourages users who may have specific concerns about the gathering or use of any such information to view this Privacy Statement regularly.